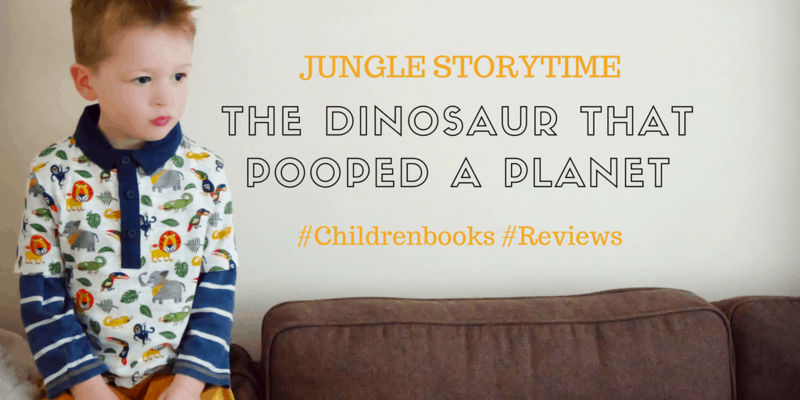 Its been a little while since our last story time so we decided to get out a dinosaur. Well our last ‘on film’ story time, we have stories everyday. Adventures, tall tales and fables. With giants, giraffes and ghosts. Some we keep to ourselves, read curled up under blankets as the velvets night settles. Others we enjoy sharing with you! Little boy hadn’t much felt like being on camera, being too busy with Pokémon and treehouse building, and since we know he is the star in this…our apologies for the absence. Disclaimer: So I manage to fit a lot of dribbling and stuttering into this story time. Good show. Dribbley mummy. At least I didn’t poop. The fab Mumzilla suggested this book and we are so glad she did. We loved the FUN, and kids need that, actually so do grown ups! Just have a laugh with your children! Check out me having to nose breathe to not go into hysterics. Any little will enjoy this from toddles to space fans. I figured out it was the guys from Mcfly wrote this (the fart jokes now make sense). There is an obscene amount of poo. This is not for the squeamish or those with no sense of humour. The rhyming scheme is pretty clever and at times pretty lengthily (dribbled again) I.e. ‘started to orbit’ and ‘clouds just absorbed it’. Mummy thoroughly appreciated the use of the word gizmos. Though I cant say it. You can talk about feelings of excitement and sadness at different points in the story I.e. when Danny is sad they may be stuck in space! Can you find the rhyming words in the story? What do astronauts need if they want to go to space? What would you take to space? What things do you find in space? What are your favourite foods to have in a lunchbox? Draw your own best friend dinosaur coloured in your favourite colours. You can talk about space or dinosaurs or bodily functions, all of which children are obsessed with. If you have kidlywinks that are old enough to play games there are some great Dino based games online. Leo’s feedback was, ‘I like Poo.’ Genius child. He approves. We think this would make a great gift, especially with the little dyno teddy and give it a rating of 4 out of 5 on our Jungle Star board. Dino-tastic.